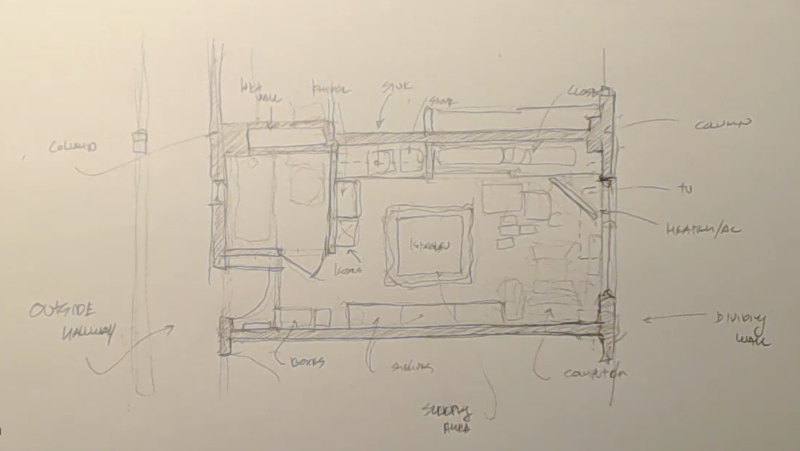 Fred drew a few extra background views of Tsubasa’s apartment plus one for Junpei’s apartment since it’s right next door, all for use later when we get to the Largo route. Being a former architect, Fred couldn’t resist laying out Tsubasa’s apartment, complete with a functional location for the wet wall and utilities. Fred was unhappy with some of the Tsubasa’s apartment artwork and needed to redo it, but now we’re moving forward again. He’s also been grumbling that he’s getting tired of drawing the guys, but fortunately we’re almost at scenes with more of the MT girls. Shadow added an animation for Piro drinking out of his beer mug for the later beer garden scene. One of the problems with the first person perspective of the Piro route is that you can’t see Piro. 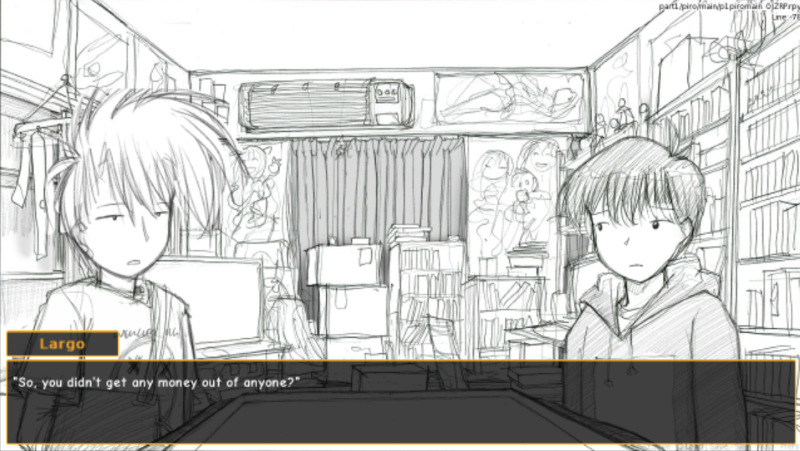 We could describe Piro taking a drink with text, like many visual novels would do. But it feels a little awkward that way, and goes against our efforts to “show, don’t tell”. A little animation of a rising and falling beer mug seems like it will work better. 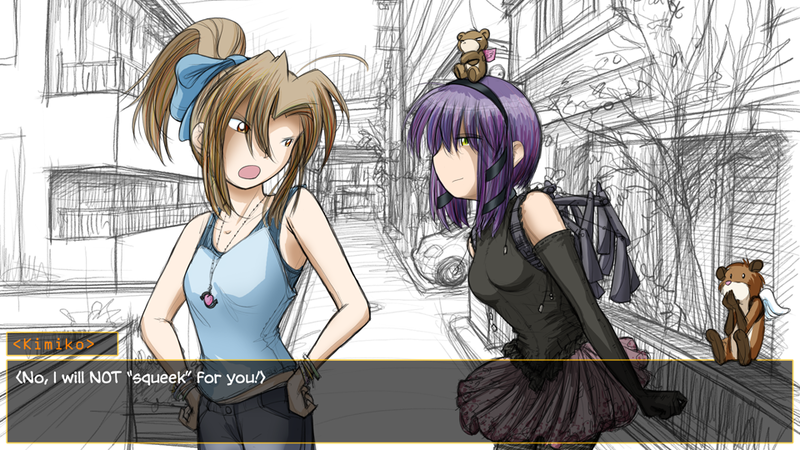 The MT visual novel isn’t going to be done anytime soon. But we are moving along well now, and it is looking good. He will sometimes announce a live draw on twitter or the MT facebook page, but not always. If you want to catch more of them, you can sign up for a twitch account, follow Fred’s channel, and set twitch to notify you whenever Fred goes live. If you miss it live, you can also view replays of Fred’s recent drawing sessions, although you might miss some of the background music due to twitch’s new overly-aggressive copyright bots. Join us for the live draws. They are a lot of fun. 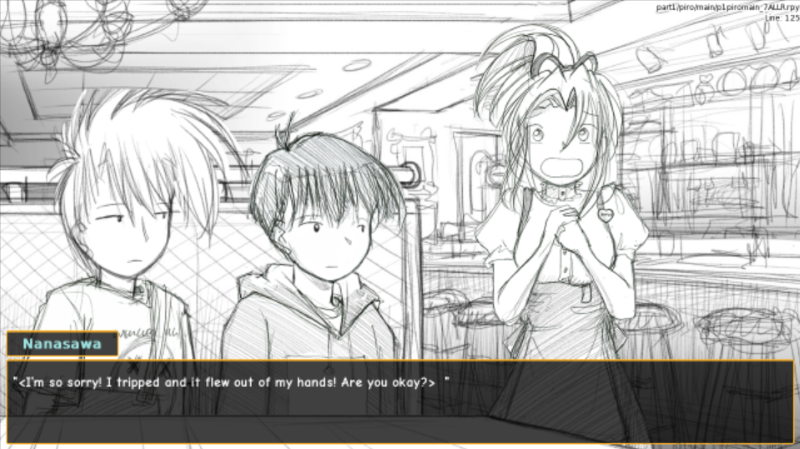 This entry was posted in Visual Novel on August 16, 2014 by paarfi.